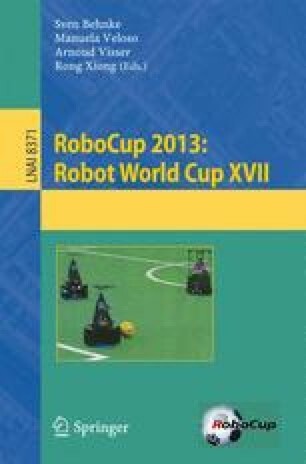 This paper addresses the problems encountered and the advancements made to the robots of Team Water, the champion of the RoboCup Middle Size League Competition in 2013. This paper describes the robot from both the hardware point of view and the software. The hardware description includes details of the design of an omnidirectional wheel and an improved ball handling device. The software part focuses on the improvements on the masking function and the localization algorithm.